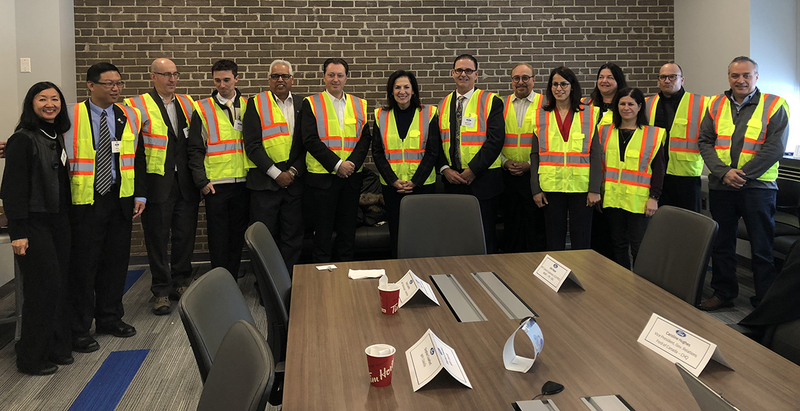 Ontario’s Government for the People is working to reduce burdens on job creators, as well as workers by improving training programs that certify those who promote health and safety at workplaces. MISSISSAUGA — Today, Minister of Labour Laurie Scott announced that Ontario’s health & safety training is heading into the 21st century. These changes mean 50,000 Ontario workplaces no longer need to send workers for a 5-day classroom course. By cutting red tape, Minister Scott is providing flexibility to job creators by making online courses fully available to Ontario businesses, reducing the time needed to take the first part of the course. Generally, businesses with 20 or more employee are required to have a Joint Health and Safety Committee with one certified worker member and one certified employer member on the committee. Minister Scott is reducing red tape, helping workers and moving Ontario training standards into the 21st century. These changes will save Ontario businesses and other organizations an estimated $5 million per year. "I am committed to creating dynamic labour markets and safe workplaces," said Minister of Labour Laurie Scott. "Our Government will make Ontario open for business and open for jobs by making our province the best jurisdiction in North America to recruit, train and reward the workers of today and tomorrow." Promoting flexibility by allowing training to take place solely online for the first part of the learning, in addition to classroom, blended and distance learning. Simplifying the requirements by removing complicated rules and red tape. Extending the time to complete the second part of training to within a year of completing the first part, providing more time for employers to schedule training.